I'm trying to figure out just why I dislike the one and done rule. I think it's mostly about it being a show stage for some kids to get highlight film for the pros, yes some about getting experience against better competition. 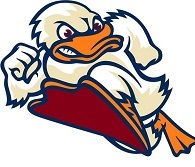 But mostly I don't really consider a one and done player to be considered alumni......... a Duck, I under the impression one and dones are basically two terms and done, might be wrong. I wonder if the Terrell Brandon's, Luke and Luke's, etc would consider one and done alumni? Maybe something could be better, a two and done rule, or/and allow the high school kid to go into the G league and have two years to still pick up a college scholarship. I just done like the one and done rule. Agree about not liking the one and done rule. The best remedy I've heard is model the rules on college baseball. If you want to go pro after high school you can, but if you go to college you cannot enter the draft for three years. The problem with this idea is that basketball doesn't have anywhere close to what baseball has for player development in the minors. I would like to see the NBA develop a more extensive system. I'm pretty OK with it. What I don't like is a new set of rules every some-odd years. I think that at some point, one-and-done will feel 'normal' and I won't think much of it. I can't imagine not always hating one and done, and I would think that most people who follow college basketball -- at least those who prefer it to pro basketball -- would think the same. Obviously, it makes it much more difficult to develop a program. I'd like to see it the same as football (and the NFL doesn't have any "farm" system I'm aware of) -- three full years removed from high school. 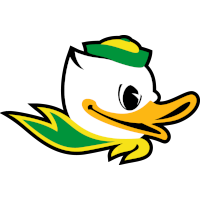 I just can't see Oregon being able to consistently recruit at a "Duke-type" level; and even then it would be equivocal whether they could produce consistently top-notch teams. Why would they want to recruit at a Duke level? Wouldn't it make a lot more sense to recruit at a Villanova level? Duke essentially rebuilds every year due to all the one-and-dones, leaving very little upperclassmen leadership. Villanova takes 4* guys who typically aren't looked at as one-and-dones and uses them for multiple seasons, building a solid core of typically program-first players who instill that in the younger guys. because they have to. So im not convinced they give the effort that a 4* gives. 'Nova takes 4-and-5 star players, but the 5 star guys aren't typically guys who are eyeing 1-and-done careers. The result has been 2 national championships in 3 years. Based on evidence, it's a superior strategy. So my point is, if Oregon is to emulate any program, it shouldn't emulate Duke, it should emulate Villanova. Thanks, guys. 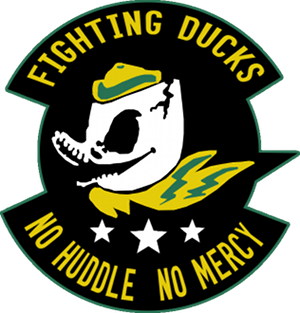 I recall this subject coming up maybe a couple of years ago on this board in regard to the Ducks' upward trajectory in both recruiting and results. So we focus on such recruits we think are "not quite" one and done, along with some 4* guys? Does that mean that we deliberately do NOT go after a Troy Brown or a Bol Bol in the future, even if we stand a decent shot of getting them? [i]LAS VEGAS -- The "one-and-done" rule preventing players from entering the NBA directly out of high school has been controversial, to say the least. Both the college and NBA sides have voiced their criticism of the rule, and have hinted that there could be a change in the works. NBA commissioner Adam Silver spoke to the media in Las Vegas on Tuesday, and suggested that the change may be sooner, rather than later. "My personal view is that we're ready to make the change," Silver said, via Sam Amick of USA Today. The rule was implemented in 2006, after an influx of high school players that never panned out. However, it has led to a series of players who attend college for only one season before heading to the NBA, leading to controversy in the college game. By allowing players to once again enter the NBA out of high school, they could get the players into organizations quicker, and presumably give them the training and environment they need to excel. Interesting, thanks. But nothing specific said about any change to how long any player needs to be in college.